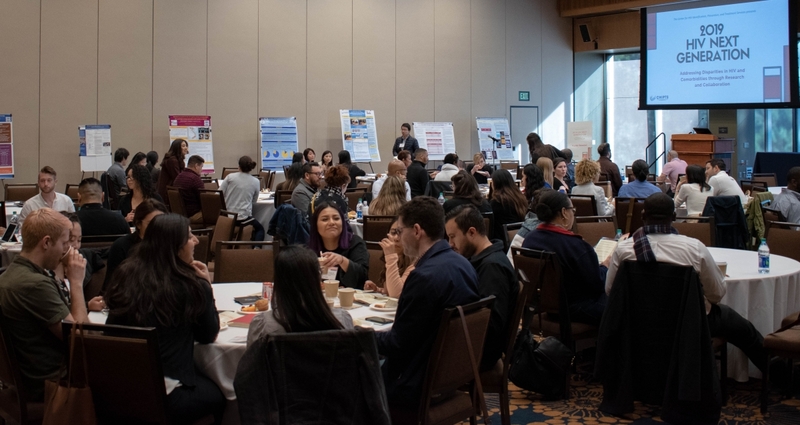 January 25, 2019 – The 2019 HIV Next Generation Conference, hosted by CHIPTS welcomed 121 attendees to the UCLA Campus for a day of discussion, learning, and networking. Drs. 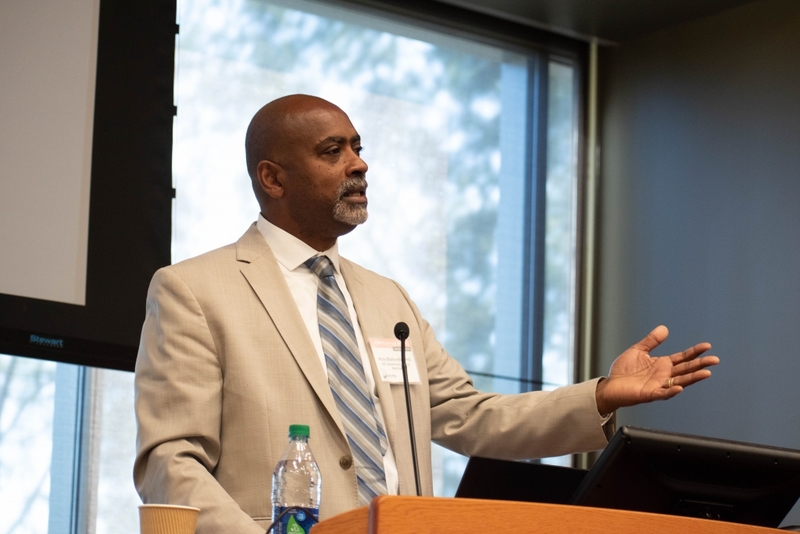 Steve Shoptaw and Norweeta Milburn gave compelling opening remarks to start the day and was followed by an inspiring and dynamic plenary by USC’s Dr. Ricky N. Bluthenthal, who spoke on his work in the community over the last 25 years. Dr. Ricky N. Bluthenthal giving the opening plenary. 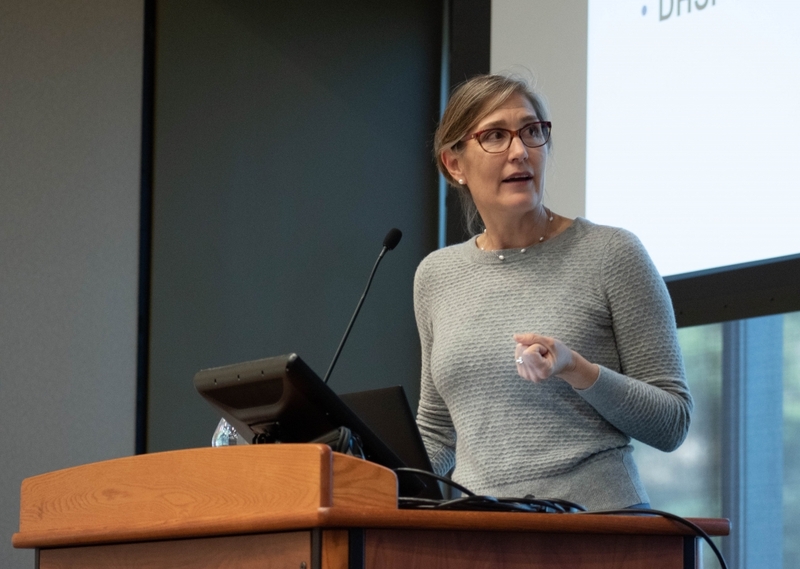 The day’s agenda featured seven trainees who gave oral presentations of their research projects and received thought provoking questions from the audience, which ranged from researchers, community providers, faculty members, and other students. In addition, seven trainees presented their work through the poster session, lending to many lively conversations that engaged undergraduate, graduate, and postdoctoral researchers with faculty and the community. In addition, the conference featured a policy impact panel lead by our Policy Core director Dr. Arleen Leibowitz and included Dr. Ninez Ponce, Ricky Rosales, Craig Pulsipher, and Dr. Nina Harawa. The panel was diverse in background with panelists from the city, state, and various levels of educational institutions which created a stimulating conversation on the impact of policy on research and, likewise, research on policy. Wendy Garland giving an update on the Los Angeles County HIV/AIDS Strategy for 2020 and Beyond. Ms. Wendy Garland of the Los Angeles County Division on HIV and STD Programs (DHSP) gave the afternoon plenary presentation. She provided an update on the Los Angeles County HIV/AIDS Strategy for 2020 and Beyond initiative (https://www.lacounty.hiv/) as well as some key collaborations with CHIPTS. In addition to sharing the priorities for HIV and STD prevention and treatment for Los Angeles County, she highlighted a number of collaborations in the works, which received excitement from many conference attendees. Dr. Steve Shoptaw, CHIPTS Center Director, giving the closing plenary for the day. 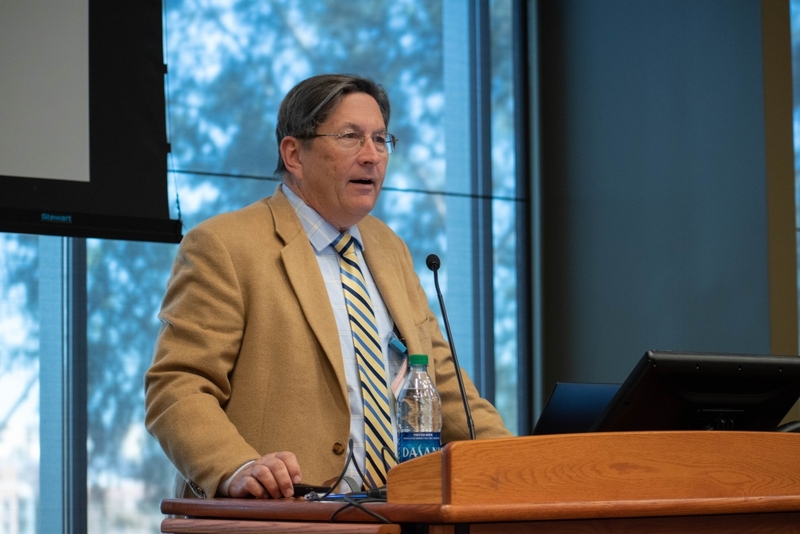 Dr. Steve Shoptaw presented the closing plenary on Methamphetamine and HIV Treatment and Prevention that gave insight into the current state of the opioid crisis and it’s impact on those living with HIV and those at risk. Dr. Norweeta Milburn‘s left everyone inspired and hopeful for the future with her closing statements, proving the conference to be a full day of science, networking, and learning. You can download all of the presentations (individually or in one pdf) and the full program below! We’ve also posted our Gallery on Facebook so make sure to check out all of the photos from the conference. Senior Research Scientist, Friends Research Institute, Inc.
We would like to thank the members of the Conference Planning Committee for their countless hours in planning and organizing this conference including: Isabelle Chu, Damilola Jolayemi, Uyen Kao, Norweeta Milburn, and Dallas Swendeman. Also, we would like to thank the generous volunteers who helped with today’s event: Jennifer Baughman and Sandra Cuevas. CHIPTS is supported by NIH grant no. P30MH058107. The content is solely the responsibility of the authors and does not necessarily represent the views of the NIH.